I’ve always been a lemon girl. Lemon gets my love all through the year, but especially in the darker months and moments of life, when I need its brightness. That whole lemons into lemonade thing? Sure. I’m pretty darned good at it, most of the time. But I mean this literally. The taste of lemon keeps me awake. It’s flying and on the edge of sweet, and then that sour kicks in like dominoes falling toward the back of the throat. I love the stuff. Muffins are lovely in the winter. Soft and tender. A small something in the afternoon as the darkness gathers. My only problem with muffins is that they are just too sweet. I want some nuance. I don’t want to be spoonfed. That’s why I love lemon poppyseed muffins. These are more complex than blueberry muffins. Did you know that the flavor of poppyseeds intensifies when you grind them? Put them into a spice grinder and push down on the top until the poppyseeds look like damp soil instead of individual seeds. There’s a fruity taste that remains hidden in the tiny seeds until you grind them. Try it. See what you think. Here’s the deal. Having to go gluten-free is a big change. At first, it feels drastic. However, keep breathing. We’ve done the hard work for you. We created this guide for those of you new to gluten-free. We created a flour blend that works for any baked good you would make on a weeknight with your kids. 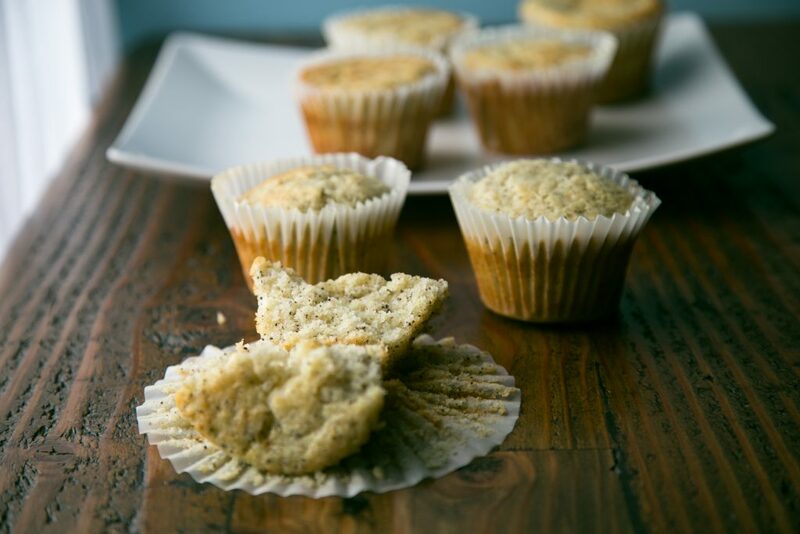 Recently, we gave you the recipe for a gluten-free muffin mix that helps you make these lemon-poppyseed muffins in mere moments. 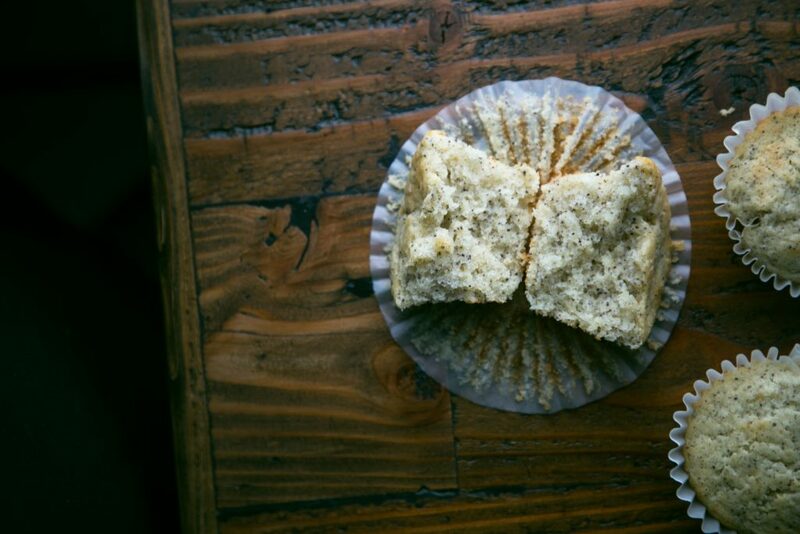 And remember — the muffins don’t have to be photo worthy. I baked these muffins in the oven of friends’ restaurant, since we were doing some work there that day. Turns out their oven is wonky — they are looking to replace it — with hot spots and cool spots where food doesn’t brown. Should I have remade these before I photographed them for you? Ah heck no. Everyone ate them up. Let’s teach our kids more about connection than perfection. We could all use a little brightness now. 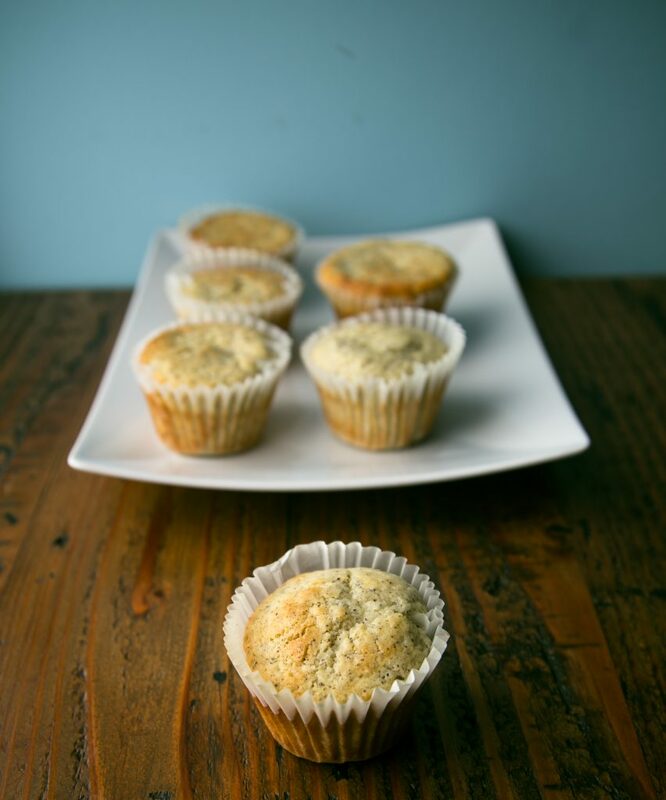 How about gluten-free lemon poppyseed muffins?